Live the good life and relax! Popular condo in the first building on the west side offers amazing beach views from inside and out of this unit! Definitely a superb location in this popular townhouse style condominium. Immaculate unit with upgrades of granite in kitchen and stainless appliances, and a fabulous rear deck for more private entertaining and glorious sunsets! Upstairs has the 2 bedrooms and private baths with upgraded showers and master balcony. Beau Clair has pool & clubhouse for owners enjoyment and a generous property in rear for RV or boat parking. 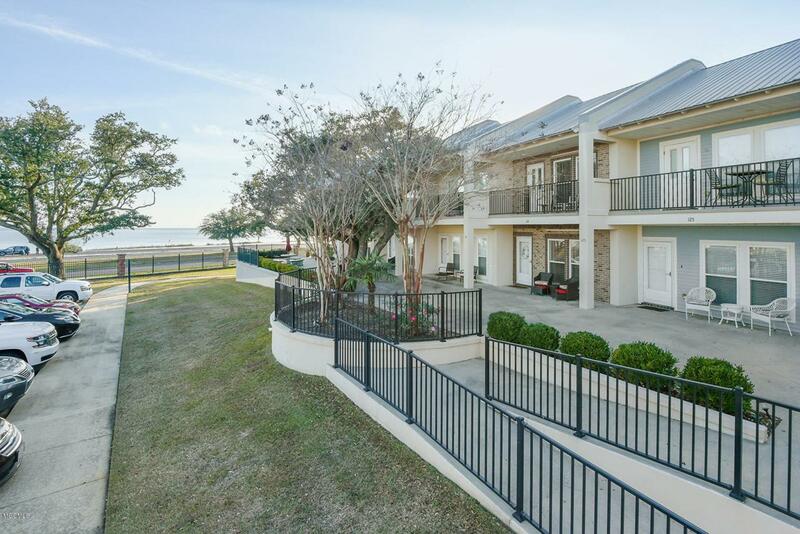 Community is friendly and casual and great for full time, snowbirds, or weekend residents, and may be rented for short term ( 3 night minimum) Condo fees include Long Beach water, sewer, basic cable, maintenance, and insurance. Listing courtesy of Amy P Wood of Amy Wood Properties.